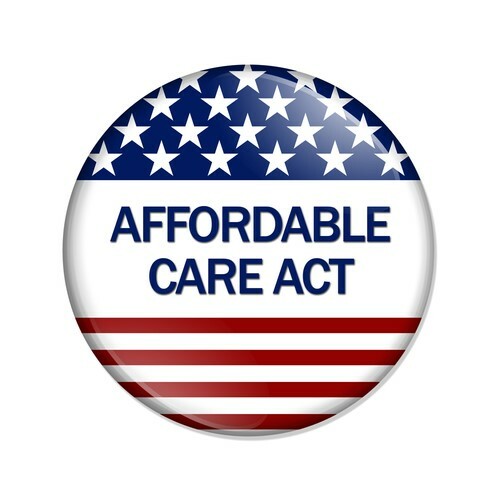 For a long time, Americans could count on employment to obtain health insurance benefits. The strong link between full-time work and health insurance survived so long that most Americans assume those who work have health insurance, and those who do not have health insurance must not be working. Yet, part-time work has always been very weakly linked to employer-sponsored health insurance benefits, and individuals working in minimum-wage and hourly-paid jobs are much less likely to be offered health insurance as an employment benefit or to be able to afford if offered. Further, since the late 1980s, the link between work and health insurance has been declining steadily. By the late 2000’s, employer sponsored health insurance had declined to covering only a slight majority of the American population. The result was that by 2008, Americans could not count on work as a path to health insurance coverage, and part-time and low income workers were the least likely to be able to obtain health insurance at all, let alone as an employment benefit. As employer-sponsored health insurance coverage declined, nothing covered the gap – until the ACA. The ACA, or Obamacare, opened Medicaid to individuals who had no health insurance coverage and no way to get it, a majority of whom were working and not receiving insurance as an employment benefit. The ACA dealt with the problem of uninsurance pragmatically by recognizing that hourly wage earners, many of whom work multiple part-time jobs, need Medicaid because they cannot to buy health insurance elsewhere. While those earning 100%-400% of federal poverty level can receive federal tax subsidies to purchase private insurance through a marketplace, private health insurance has complex cost-sharing that is a known barrier to care for the poor. Further, income fluctuates for hourly wage earners, often causing them to churn in and out of health insurance if they are able to obtain it through work. CMS Administrator Seema Verma, the federal official tasked with taking care that Medicaid is properly run, just announced that she intends to loosen important rules that make Medicaid the unique safety net that it is. She publicized that CMS will approve state requests to impose work requirements on Medicaid enrollees, especially those who are newly eligible under the ACA, which she and other politicians have been calling the “able bodied”. This desire to require work as a condition of Medicaid enrollment is a direct rejection of the ACA’s attempt to create near-universal insurance coverage regardless of health, employment, income, or other status, and it operates in ignorance of plentiful evidence that most people enrolled in Medicaid who can work do work. A state can only impose work requirements if it obtains a “demonstration waiver,” meaning that CMS can approve a state’s application to deviate from the federal law of Medicaid so that it can demonstrate another way to provide medical assistance to the poor. Demonstration waivers historically lasted for 3-5 years, and states have had to report the successes and failures of their demonstrations. The Obama Administration rejected state waiver requests for work requirements as inconsistent with the Medicaid Act; but today, Administrator Verma indicated that she intends to approve these and other waiver applications more readily and to allow waivers to last longer (up to ten years). States have sought work requirements, wellness incentives, and other behavioral checks that make it so beneficiaries who fail to report could be disenrolled from Medicaid - sometimes for months at a time. Such waivers would not demonstrate anything about delivering medical care to poor individuals. In fact, states have openly written in waiver applications that they anticipate work requirements will result in dis-enrollment. CMS is effectively telling states that they can control costs through keeping beneficiaries out of Medicaid for months at a time with little federal oversight or any repercussions. Assisting people with developing job skills and finding work is a worthy goal in general, but work should not be a barrier to Medicaid enrollment when it is well known the people affected cannot otherwise get health insurance. This will make low income workers more vulnerable to illness and injury, which ironically means that work would become harder to perform. This paradox perhaps reveals the true goal, to administratively undermine the universality of the ACA without legislative repeal. The Medicaid program is a work horse that provides public financing to people who need medical assistance and who otherwise would be uninsured. The “state flexibility” announced by CMS today may possibly lead more red states to expand Medicaid eligibility under the ACA by giving them political cover, but at a cost. The newly-announced policy does not further Medicaid’s goal of medical assistance for the poor, and it is blind to facts about work being delinked from health insurance, especially for the very populations helped by the ACA. “Work” should not be a barrier used by states to penalize those who are already struggling.